Supported by dialog boxes, pull-down menus and slides, these modules guide you through the detailing process with a minimum of typing. Beam to beam and beam to column connections can be saved and later recalled while detailing filler beams or columns. This reduces the amount of user input and greatly reduces the possibility of errors in connection matching. Sloping beams will be drawn in position and may be sloping and skewed. 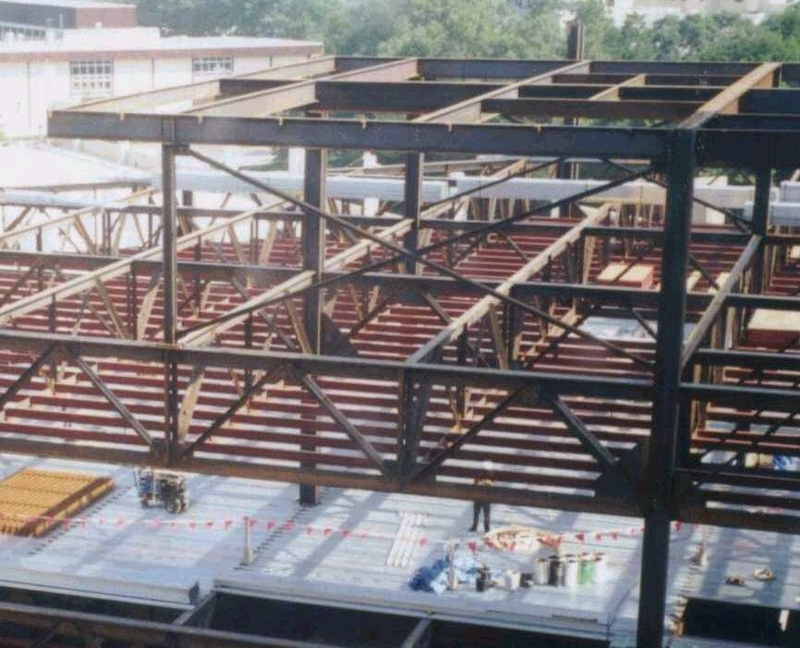 Internal connections may be vertical or square with the flange of a sloping beam. 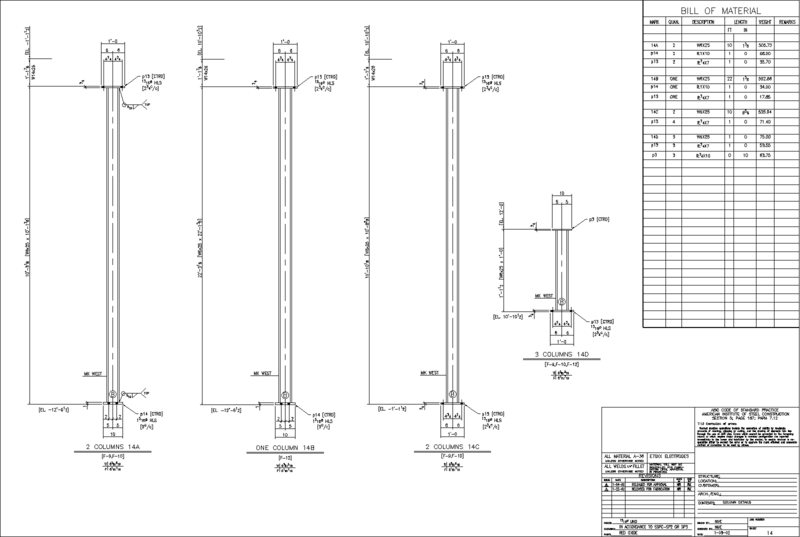 Columns can be detailed directly from connections saved while detailing beams, saving considerable time and ensuring correct connection matching or they may be detailed from scratch. Any connections that are available when detailing the column can also be added to an existing column in case of revisions. Base plate information may also be recalled from anchor bolt plans when detailing columns, eliminating the need to enter information more than once. Drawing output is highly customizable to enable you to match existing drawing standards. 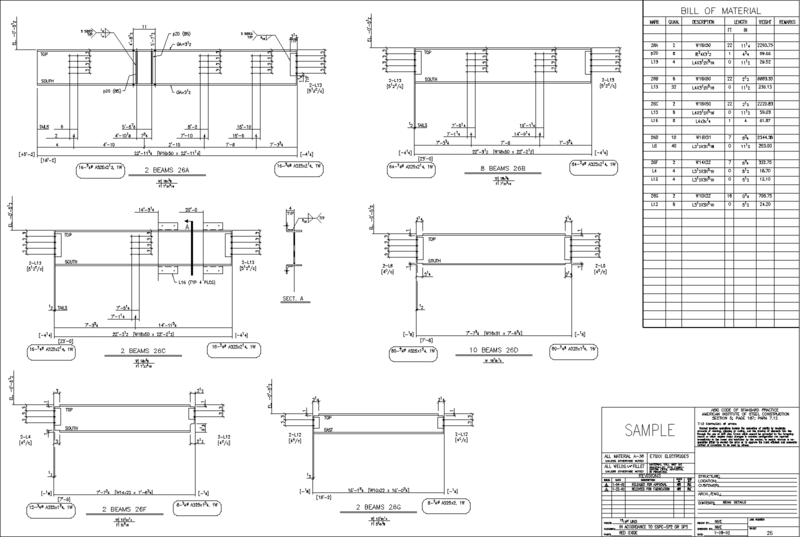 Review sample drawings (png format) and significant features below. Beam and all sub pieces automatically shop billed for you. Beam to beam connection matching saves time and reduces errors by reusing existing design data. Customize bolted and welded clip marks to match fabricator standards. Tail to clip or end-of-beam. Tail every hole or the first hole in a group. Vary the distance from the clip to the end-of-beam. Out to out can be from clip to clip or from clip to end-of-beam. Blocks dimensiond from clip or from end-of-beam. Extensive control of placement and layout of dimensions. Column and all sub pieces automatically shop billed for you. Detail wide flange, pipe or tube. Detail from connections saved by beam program or manually. Draw faces A, B and C.
Add connections after column is detailed. Input floor elevations. Chain and tail dimensions are calculated. Automatically draw edge and plan views of base and cap plate. Cap plate can be sloped. Beam can cantilever column. You input top of beam elevation. Detail top view of column with skewed wing plates. Add bolted or welded splice plates.